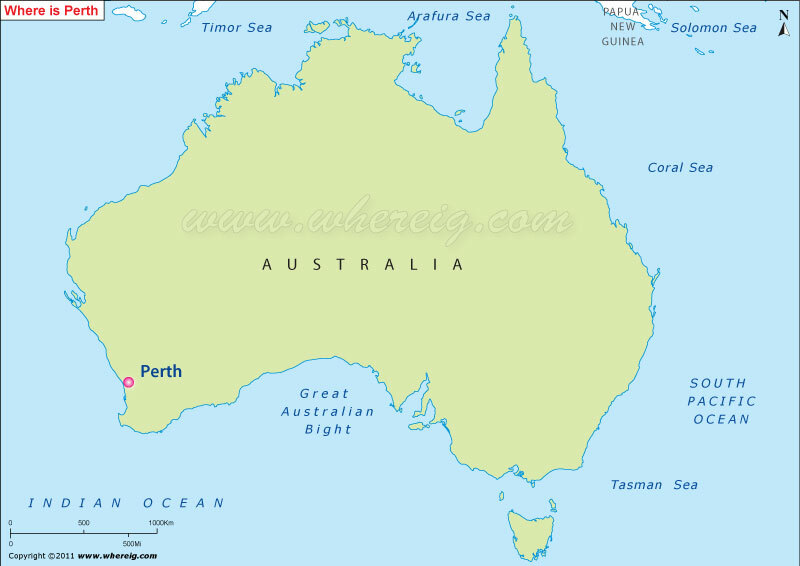 As shown in the given Perth location map that Perth is located at the coast of Indian Ocean in the south-western region of Australia. More specifically, metropolitan area is situated in the South West Division of Western Australia. Furthermore, the CBD or central business district of Perth is located on the banks of the Swan River. Perth is the capital city of state Western Australia and fourth largest city of Australia. The city was first founded by Captain James Stirling in the year 1829 as the political center of the free-settler Swan River Colony. Perth acts as the business center in the Western Australia. Though, the other businesses like mining, agriculture and other industries are located outside the city region, but the center of all these businesses is Perth city. Interestingly, the inhabitants of Perth lit their house's lights and streetlights as American astronaut John Glenn passed overhead while orbiting the earth on Friendship 7 in 1962. Possibly, due to this reason city is more commonly known as "City of Light". Moreover, the city is listed as one of the most Livable Cities of the World in the year 2010.